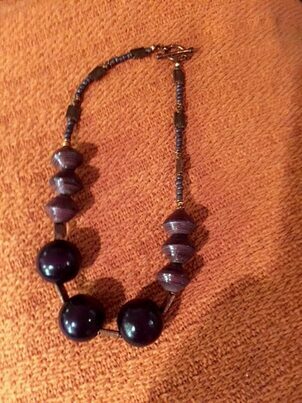 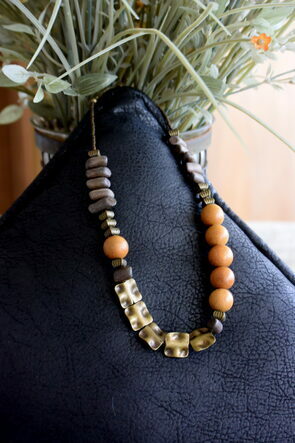 Brass Pewter spacers and Brass Seed beads. 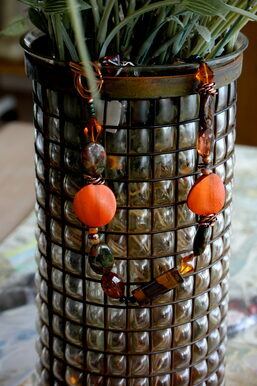 Pewter design centerpiece with assorted Pewter and Copper beads. 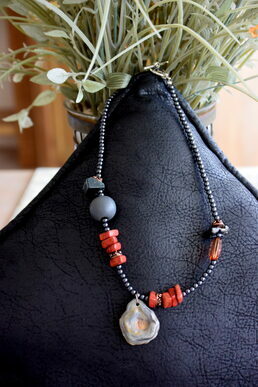 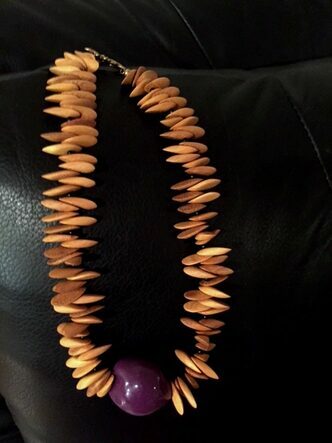 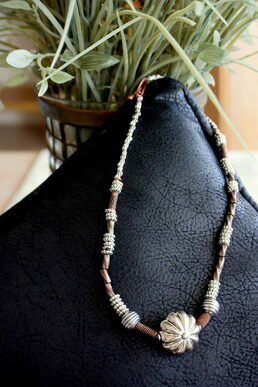 Fossilized Mushroom centerpiece, rust Wooden beads, grey Swarovski Pearls and Copper beads with one rust Swarovski oval.